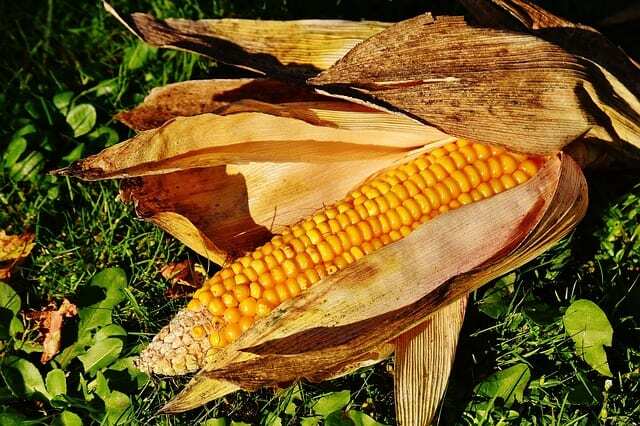 Corn is the crop with the most extensive use in animal feed and human nutrition. 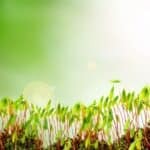 Therefore obtaining some healthy productions, particularly free of attacks by pathogens like fungi that produce toxins such as Aspergillus or Fusarium is of particular importance for human and animal health. 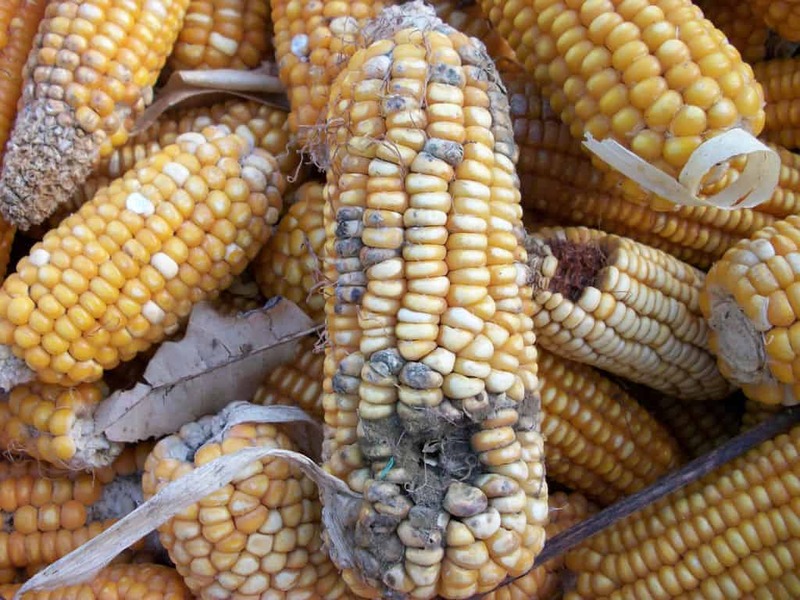 Aspergillus is a common ear rot that attacks the corn cob, affecting the quality of the yield. But more than that, Aspergillus is considered very dangerous because it produces aflatoxin, a carcinogenic toxic very harmful for the human health, but also for the animals that consume feed infected with it. Aflatoxin was first identified in the US in 1960, on moldy peanuts. It was characterized as an acute toxin for animals and powerful carcinogen produced by the fungi Aspergillus flavus and Aspergillus parasiticus. Initially, it was believed that these fungi are pathogenic of storage deposits, but they were soon found in corn crops in southern areas of the US, producing aflatoxin. 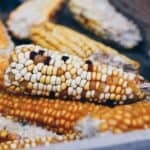 In other areas the corn was contaminated with aflatoxins because fungi needed higher temperatures and drought conditions for their development. In addition, only small amounts of corn were stored in conditions favorable to the development of these fungi (18-20% moisture in the grain). By 1983, in the US, the toxic effects of aflatoxin contaminated corn fed to animals have not been registered, just in aflatoxin concentrations above 50 micrograms/kg. The legislation limited the use of contaminated feed to a content of 10 to 20 micrograms/kg. In some years, like 1983, with higher temperatures and severe drought in almost all the Corn Belt (Iowa, Illinois, Nebraska and Minnesota), where harvested corn had higher concentrations of aflatoxin, federal agencies and the government agency approved that corn containing up to 100 micrograms of aflatoxin/kg can be used in the feed of animals less affected by the toxin, such as mature beef cattle, sheep and pigs. 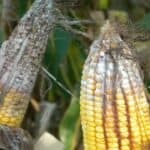 How does Aspergillus attack corn ears? The Aspergillus flavus fungus attacks the cob and the grains, producing a greenish-yellow discoloration of them. Most frequently the grains from the tip of the ear are attacked, but it can also be seen in hybrids with an incomplete husk and thus unprotected from injuries caused by insects, hail and other factors that may cause damage. The fungus is resilient to temperature changes, making it more competitive at high temperatures in drought years. In the field, the pathogen is maintained and multiplies on plant debris, pollinated corn silk, etc. In deposits, the fungus spores are spread by the mechanical mixture of grain drying, handling, etc. 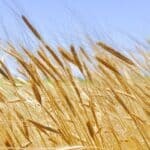 Therefore, the spread of the disease was amplified with the passage of harvesting grain, because of the weight increase due to mechanical damage, particularly in high moisture grain harvest. Also, storing the harvest as grain increases the incidence of fungi in deposits. The most affected countries by this fungus are China and developing African nations because of the severe drought conditions, but Aspergillus has also affected many US states, starting with 2011. Increasing temperatures and drought conditions means that more and more regions have to deal with this pathogen on regular basis. This means bad news for farmers, because in the US alone the agricultural industry suffers annual losses of almost $ 200 million due to Aspergillus. This fungus causes severe problems in developing countries, where subsistence farmers don’t have the necessary technology and resources for adequate grain testing, to find out whether the grains are contaminated or not. Corn feed may pose a real risk of mycotoxins in dairy cows. Given the uneven distribution of fungi and mycotoxins they produce in a single batch, analyzing adequate samples is the key to correctly assess the threat posed by mycotoxins specific in farms. Aflatoxins produced by Aspergillus are typically found in the storage, in low doses of feed, such as corn and granary silos. Also, tests have shown that they are present in milk and pose a threat to human digestion, which is why in some areas there are maximum limits established for the presence of these aflatoxins in milk. 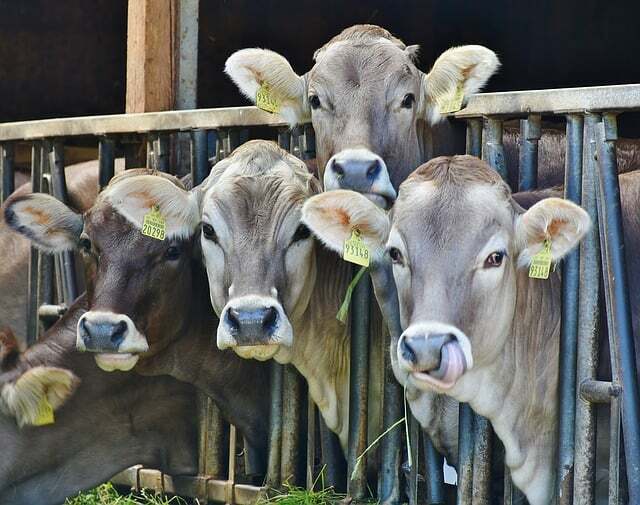 Aflatoxins are associated with insufficient cud behavior, they affect the udder health, the somatic cell count increases, the resistance to environmental and microbial factors decreases and the susceptibility to disease is higher. Even low doses can have serious health implications on long term. Because of its estrogenic properties, zearalenone (ZEN) can affect the reproduction and have adverse effects on the hormone estrogen cycle and on the regulation of reproduction in heifers and calves. Mycotoxins are too small to be visible to the naked eye, so that mycotoxin contamination is not detected accurately by doing regular checking. The absence of visible mold in silage doesn’t mean that it is free of mycotoxins. The opposite is also valid: heavily infested silos with visible mold don’t necessarily contain severe levels of mycotoxins. The first step in protecting the animals is correctly identifying specific threats of mycotoxins on farms through periodic testing of feed before feeding it to them. The spread of disease can be limited by crop irrigation, agro-technical measures that reduce the stressful effects of drought on plants, controlling the factors that cause mechanical damage and grain storage under controlled conditions, especially having moisture in the grain varying between 13.5 and 14.0%. Crop irrigation is recommended wherever possible, as well as extending surfaces equipped for irrigation. In dry areas, only under irrigation corn crops can be safe, profitable and healthy. On non-irrigated land, it’s needed to impose measures for water storage and retention in the soil after harvesting the plant prior to fertilization and early grain formation. To do this, the stubble should be kept free of weeds, having a smoothed surface and covered with a shallow layer of soil to decrease unnecessary loss of water by evaporation and prevent weed growth. 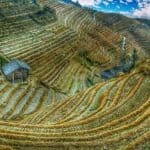 Plowing the land on time, preparing the land by minimum passing, with a smaller plant density, corresponding to the quantity of water available and having a good control of weeds in the culture are some of the measures that farmers can take. Sterile plants (corn without ears) can be used as fodder in small subsistence farms. 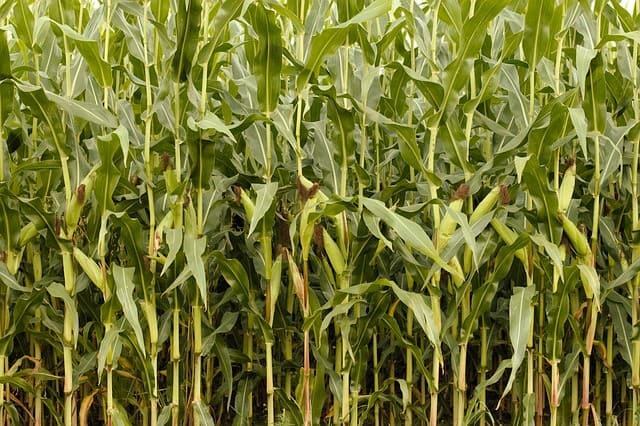 It’s also recommended to choose corn hybrids resistant to drought or hybrids at least tolerant to it, a trait attested after some testing under severe drought conditions. It’s important that the husk is covering well the tip of the ear, even in drought conditions, knowing that drought causes a significant shortening of the husk length. Another way of preventing the forming of Aspergillus is reducing the moisture in the grains immediately after harvest between 13.5 and 14.0% and storing them in cool space, to minimize the development of the fungus in deposits.